If you’re looking for a wide selection of the best SUVs under $10,000 for sale in Naperville, IL, then you’ve come to the right place. 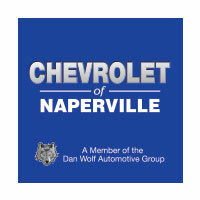 Chevrolet of Naperville offers a rotating inventory that includes some of Autobytel’s top pics, some with AWD, cruise control, and hands-free calling, and even some Kelley Blue Book choices that include powerful 4WD units, infotainment systems, performance audio, and more. Check out our selection, then read on to see why, when you’re looking for the right SUV for your budget, Chevrolet of Naperville should be your first stop. At Chevrolet of Naperville, we make it easy to find and afford that new or used car you’ve been dreaming of. Browse our inventory for the best used SUVs under $10,000 for sale in Naperville, IL to find the model that suits your active lifestyle. Explore finance options, calculate your payment, value your trade, and apply for the credit you need with a few mouse clicks. Even if you have less than perfect credit, we have an option for you. Use our tools to schedule service, order parts, and check out our vehicle and maintenance special offers designed to help you save big on owning and maintaining your SUV. From start to finish we’ve made it effortless to get on the road with a car that will serve you well for years to come. Contact us today to learn more and see how Chevrolet of Naperville makes car buying hassle-free.